If you have one of Nvidia's new RTX graphics cards then your score in Port Royal, UL Benchmark's ray tracing benchmark within its 3DMark test suite, should go up following the latest update. 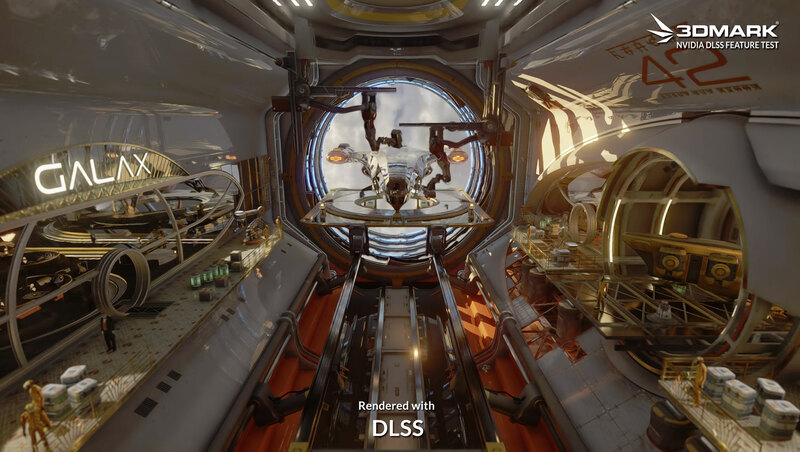 It implements Nvidia's Deep Learning Super Sampling (DLSS), which effectively renders the demo at 1440P, but makes it look more like 4K, delivering greater performance without sacrificing visual acuity. In fact, not only does it run better, but the image quality is improved too. Typically the Port Royal demo is rendered with Temporal Anti Aliasing enabled, which is effective, but costly in comparison to DLSS. DLSS sharpens an image without artifacting, while the end result of TAA is a little more blurry in comparison. The end result is an image that pops a little more than the standard Port Royal benchmark and it does so with improved frame rates too, since the image being rendered can take advantage of the RTX cards' onboard Tensor cores. AMD has yet to release a GPU which is certified to work with the Microsoft RTX ray tracing technology that's running under the hood of these new GPUs, but its upcoming Radeon VII can reportedly handle DLSS-like rendering using its general compute units. I dont mind 30 fps if my game looks good. No good to me then....i still play my games in 1080p, I crave the performance with better gfx cards :P.